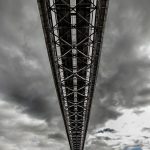 The Firth of Forth seals, Inchcolm Abbey and the iconic Forth Bridges have all inspired entries in the Maid of the Forth’s first ever photography competition. The local sightseeing boat tour and family-run business called for those with an eye for detail to share their #maidadventure experiences and were overwhelmed by the calibre of images. 150 photographs submitted in July and August on Facebook. The competition was held in partnership with photo and Edinburgh experts, Edinburgh Spotlight, who have a massive online community of over 400,000 Facebook fans – they cast their critical eye on the photos to select the winners. 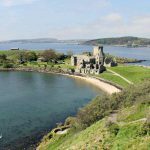 July was a double win for Broxburn resident, Derek Fleming, who posted images of seals relaxing and a stunning view onto Inchcolm island from the top of the famous abbey (pictured in the header photograph). Alexa Hill from Prestonpans was the winner for August, with a wonderful high view, looking down on Inchcolm Abbey and the beach, with the Fife coastline in the background. The runner-up for July was Sarah Swan (photo left); Sarah was also the runner-up in August, alongside Colin Abot (photo below) who opted to donate his prize to a charity. Each winner received a free Maid of the Forth trip, with the chance to meet the Skipper, enjoy refreshments from the bar and even a chance to drive the Maid herself. 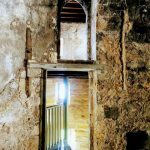 Maid of the Forth trips to Inchcolm Island run until end October and return in Spring 2018. Maid of the Forth offers sightseeing tours to Inchcolm Island, with landing and non-landing trips available. The trips also take in the Forth Bridges. Trips run annually from Easter to late autumn.